Wandering through Harvey Nichols on a work break, tired and vaguely peeved as I am usually am in department stores by the miasma of scent and the slapdash approach to perfume promotion, I was not really expecting to see or at least smell anything interesting. I had already been utterly deflated by the latest Tom Ford floral releases, hyped as usual and massively underwhelming. As a man obsessed with all things lilium related I had been looking forward to trying his Lys Fumé, the lily soliflore from the Jardin Noir quartet. I realised after spraying it on, there is a facet to all of the TF fragrances that I actively dislike; that in fact rather irritates me. Despite all the talk of high-level naturals and absolutes etc, they all have an off-putting malaise, a breath of deoderised car, lighter fuel and smoked bug spray that sits under the notes like a latent curse. The Lys Fumé was no exception; in fact I recoiled from my own skin. Now if you follow my writing you will now how much I adore lily soliflores, I have at least six or seven tremulous variations in my collection at home, but this smelt like burnt bathroom freshener, not a good effect in a fragrance. Revisiting my wrist in a vain hope the drydown might unlock a twist in the formula and I would perhaps marvel at the sudden majesty of lily-form lines and curves, I noticed the new Balenciaga fragrance was being merchandised. Obviously just in, the striking carnivorous botanical packaging caught my eye and lured me over. The Lys Fumé at this point had withered to a flat and unimaginative campheraceous echo of the original indolic floral flourish. The smoked note was drawn in the air like cheap cigarette smoke in a bus shelter. I am really beginning to wonder whether the immaculately hirsute Mr Ford has anything to do with his scents any more, they are becoming increasingly dull and formulaic. Pricy and glossy Dynasty concoctions for scousewives and Beverly Hills princesses. 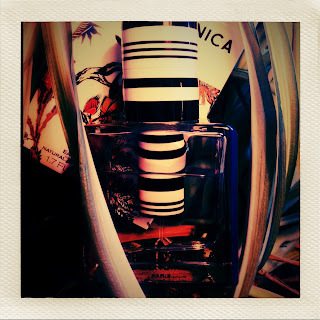 Florabotanica is the third fragrance from Balenciaga under the mighty creative sweep of Nicholas Ghesquière, one of the few true visionaries working in fashion today. The first two fragrances used the enigmatic note of violet to create similar yet reflectively different interpretations. I will admit to being rather underwhelmed by the first Balenciaga Paris, which I found bloodless and wan. It expired far too quickly on my skin and made me shudder as if shaking the hand of someone I knew was going to die. It was too safe, despite a coldly beautiful campaign fronted by the mercurial and inscrutable Charlotte Gainsbourg. However the second version, Balenciaga Paris L’Essence, was divine, poetic and fairytale-like in its dreamy interpretation of the way through the woods. The violets glowing amethyst in hazy pockets of sunshine dappled with glinting metallic musk tones like coins in the sunlight counterpointing the floral elements with elegance and grace; lending an air of toughness I found lacking in the original. 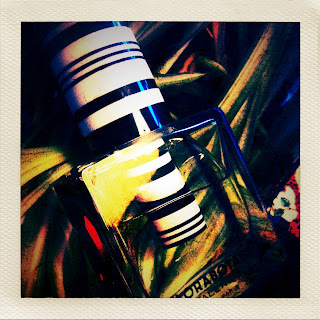 Sniffing Florabotanica for the first time, I recognized this toughness again, a twisted tendrillar quality, like the iron staircases of fin de siècle Parisian apartment buildings. It was an incredibly beguiling moment. Florabotanica was created by Olivier Polge and Jean-Christophe Herault. Polge was also the nose behind L’Essence, so these echoes are not all that surprising. Initially I also picked up huge déja-senti echoes of his vastly underrated Kenzo Power, the really weird powdered metal scent that came in the delicious sake-style bottle. Not a great seller, but I loved it oddness and creeping alien textures on my skin. He is a frustrating perfumer sometimes though, often brilliant and then occasionally just awful. As if just going through tawdry olfactory motions and taking the money with a smug smile, thinking… ‘Haha… I made Dior Homme, who cares… ‘. His work on Balenciaga Paris L’Essence however was excellent; reserved, respectful and cleverly re-interpreting the classic violet note of the original while exploring the green woody aspect of the leaves and mossy forest floor. Anyone using violet will inevitably come up against the violette de parme association but it is to Polge’s credit that he deftly sidesteps this by deploying vetiver and patchouli to round out and darken an already atmospheric and enigmatic tableau. I was quite taken with Polge’s Midnight in Paris, a collaboration with Domitille Bertier for Van Cleef & Arpels in late 2010. It was a deceptive and under-rated perfume, housed in an elegantly designed night-blue bottle, studded with stars and banded in metal. It did smell remarkably like Annick Menardo’s legendary Bulgari Black as it opened on the skin, which is no bad thing per se. But I found myself charmed by the gentle and structured accord of muguet blanc and matcha green tea allied to leather, incense and tonka bean. By no means a masterpiece, but an interesting attempt to persuade everyday men they can still wear soft and subtle without the screeching edge of sweaty spice that seem to dominate now in the poisonous wake of Paco Rabanne’s all conquering One Million. There is always an element of the otherworldly to Polge’s work I think; he trails an alien metallic signature, an inhalation of aluminum dust. It was there in Dior Homme, like a footprint in the cocoa powder, tinged with shards of glass glinting in the sun. He has carried this strangeness through his work. It is often more noticeable in his collaborative oeuvre where the process seems to throw his techniques in relief, making his notes seem more skeletal and febrile. When I first smelt Florabotanica off the little strips of carnivorously printed botanical fabric, it smelt ozonic and herbaceous with a shout of wet paint and the sensation of looking at a portrait of a rose rather than the real thing. I rather like this trompe l’oeil, or in this case trompe-le-nez effect, where a canvas of scent effects appears to vibrate and shimmer. Then slowly, it is possible to discern particular notes and accords that shift in and out of focus like voices calling out in forest mist. On the skin, the opposites created by Polge and Herault come into play. The unsettling fairytale duality captured me instantly. I was very taken aback; it is quite rare I like something so suddenly. I walked back and bought it, constantly inhaling deeply off the back of my hand, marveling at the gleeful slide of accords. As portrayed by Balenciaga….Not just a pretty flower, but a pretty dangerous flower…. There is a triumvirate of mint, carnation and a specially created hybrid rose that initially rolls damply off the skin. This strange mix of rubbed herb and floral tones, (especially a particularly airy dentistry/eugenol note on me), make the opening quite arresting and really focus the mind on the twisted floral doodlings of what is to come. The second triumvirate of caladium leaves, amber and vetiver darken proceedings, dim lights and de-saturate the environs. This dichotomy is what I like in good fragrance. I don’t necessarily want to be swept off my feet every time by dazzling effects and full-blown absolutes. Used without care, skill and reason, these things are pointless and just serve to highlight the sterility of modern perfumery. But if I feel a frisson, catch a movement of something, a flicker of light, a glimpse of fur, scales, and tooth in the undergrowth, I am intrigued and will walk further down the pathway. I have always been a huge Angela Carter fan and as a teenager I devoured her books and stories. When Neil Jordan directed The Company of Wolves, I was mesmersised. I love the concept of blood beneath the skin and the darkness lurking under the often-sanitised words of so many modern fairy tales. I spent a lot of time reading stories about lost innocence, blood spilt, snow, forests, pathways, straying, the ominous shift from daytime flora to night time shadows and howls in the crepuscular shade. The recent re-working of the Red Riding Hood story was rather beautiful with its primal soundtrack and stark trembling sets. The sexual subtexts flourished in fire and blood, but it still managed to capture a dreamy hypnotic quality so often missing in such adaptations. 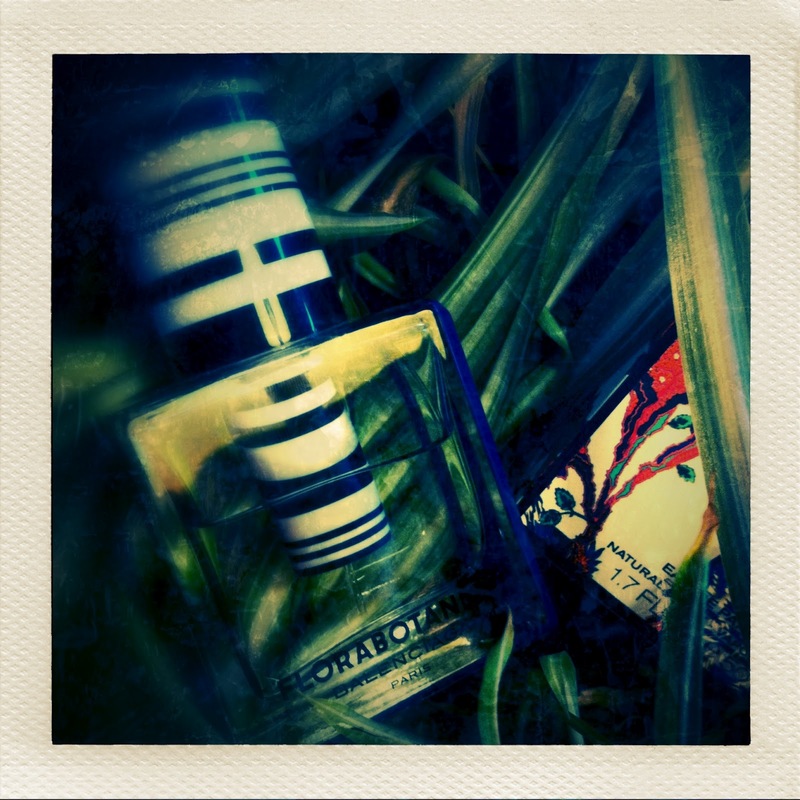 Smelling Florabotanica took me back to my teenage memories of forests and pathways, the ways through the woods. The sensual, virginal and the downright carnivorous. The leering shadows, the flickering leaves: just tricks of the mind and eye? Or manifestations of deeper concerns? It seems to capture the moment as the sun leeches out of the forest and the shadows move in. Everything still looks pretty and has shape and form but you are aware of a slight shift, something underlying that troubles you and makes the heart beat a little faster. The shift and scattering of the notes on the skin is intriguing. The hybrid rose mentioned in the notes smells overly artificial, almost deliberately so. As if it were nature identical, drawing you in with deliberate aroma and dewy finish only to prick the skin with thorns. Polge and Herault have underpinned the potential over prettiness of Florabotanica with a stylish and subversive take on soft gothic, just enough to darken the tone and not enough to throw the scent off into outright weirdness. The balance is enough to unsettle, intrigue and seduce. I love the campaign and packaging. I expect this standard from Balenciaga, a house in the malleable and iconoclastic hands of Ghesquière. The botanical print has been beautifully rendered throughout the ads and boxes. The multi-coloured tendrils and leaves have carnivorous buds and stems, with Venus fly traps and twisted animalic fronds. One of the perfume girls when I was buying my fragrance whispered to me that Florabotanica actually contained extracts of carnivorous plants. Then she swore me to secrecy, saying it was a trade secret. Hmm. Obviously the brand has trailed Kristen Stewart heavily as the face of Florabotanica, but her role has been slightly played down in the wake of her affair with the director of Snow White and the Huntsman. No one has said anything officially, but is quite noticeable how little her face is being used just now to sell the fragrance. I like her a lot as an actress, and her combination of grungy, sulky teen and red carpet glamour strike a chord with many people. The pap shots of her changing from heels into her beloved Converse make me like her even more. This kind of fragility she has, which I think can come across as arrogance and coldness sometimes, combined with the spiky toughness that all teens want the world to see is endearing and perfect for this odd fragrance of steel and silk. The bottle is a heavy-duty work of art. All lab glass and Murano tints. It handles nicely, I like the beveled edges with red and blue lines. Heavy in the hand, the atomiser plunges into the bottle, reminiscent of a distorted test tube in water. The black and white stripes contrast delightfully with the ornate botanical theme of the line. The stripes are a reference to Cristobal Balenciaga; his favourite painter was Goya who famously declared… ‘In nature there is only black and white’. Spraying it on my skin again as I come to end of this piece, I am struck again by the beauty of the inbuilt contrast at play between the notes, the green forest leaves filtering light across the floor and the strange floral notes shimmering in the dying light of the day. As the light fades, shadows grow and the fragrance slips into a sugared darkness. If I close my eyes, the way through the woods disappears and I can hear wolves howling in the distance. What a great and thorough review of Florabotanica, the first one I have seen to do justice for the scent! In the same vein, I love your Facebook feed, very inspiring!